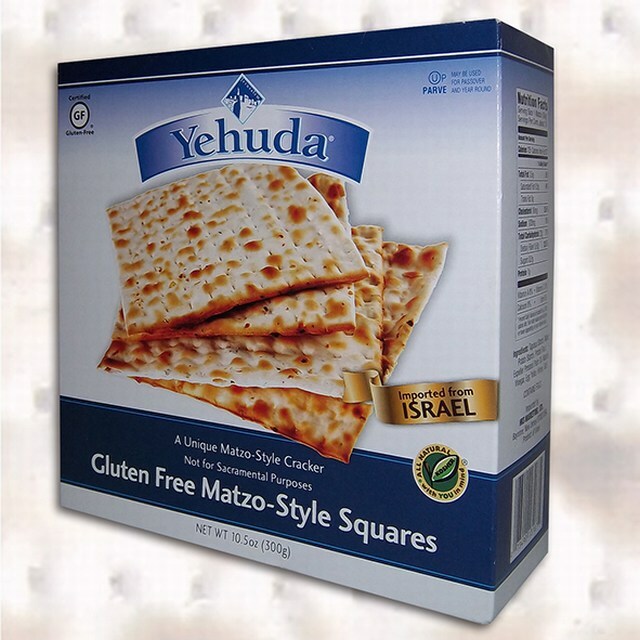 Box, containing 1 internal package of 300g (10.5oz) fresh Gluten Free Matzo Style Squares made of fine raw materials. The boxes are packaged in a 12-unit carton. 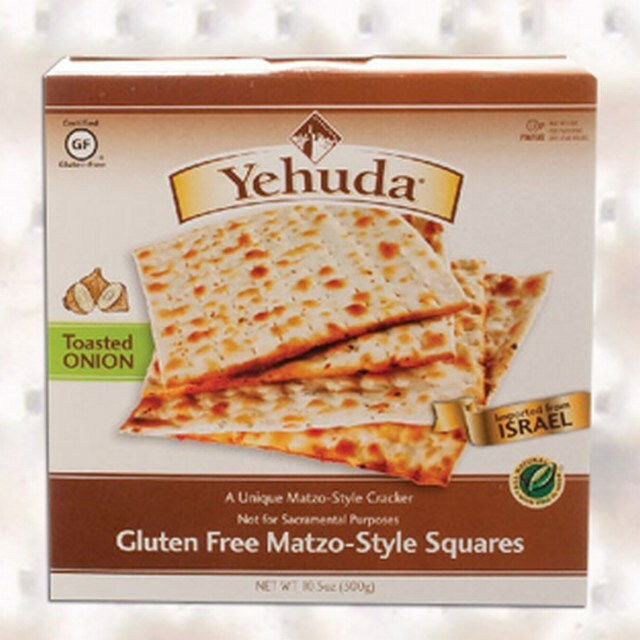 Box, containing 1 internal package of 300g (10.5oz) fresh Gluten Free Matzo Style Squares Toasted Onion made of fine raw materials. 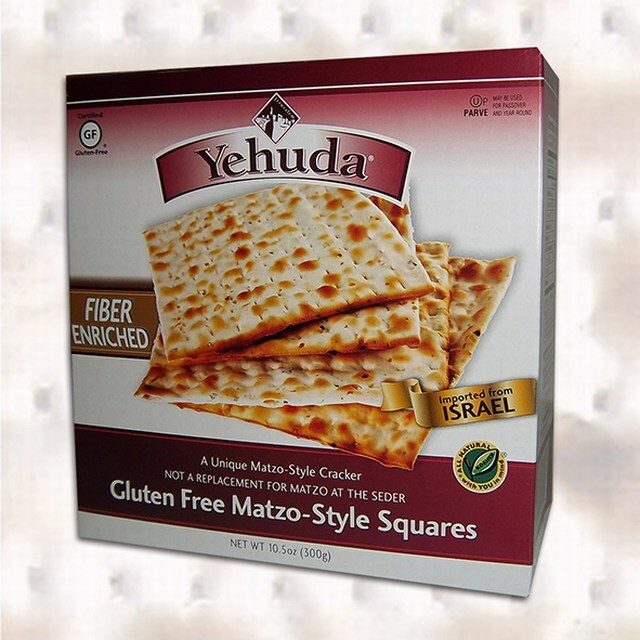 Box, containing 1 internal package of 300g (10.5oz) fresh Gluten Free Matzo Style Squares Fiber Enriched made of fine raw materials. 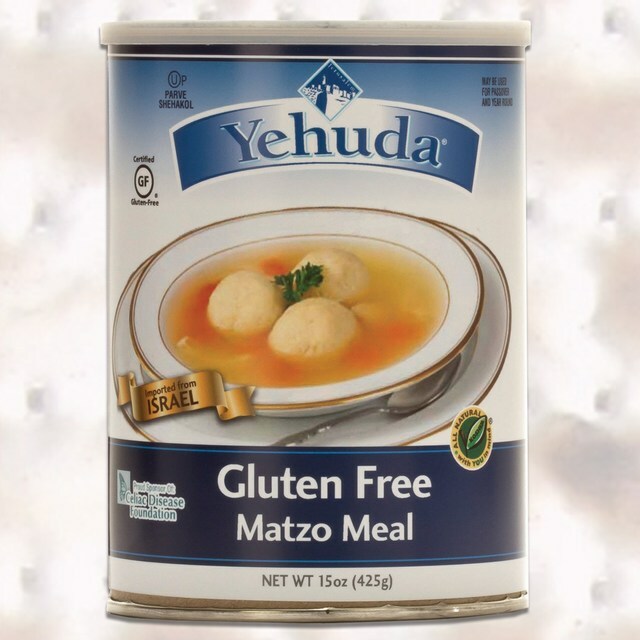 Avalaible only in the USA - Sealed cannister, containing 15 oz (425g) Gluten Free Matzo Meal made of fine raw materials. 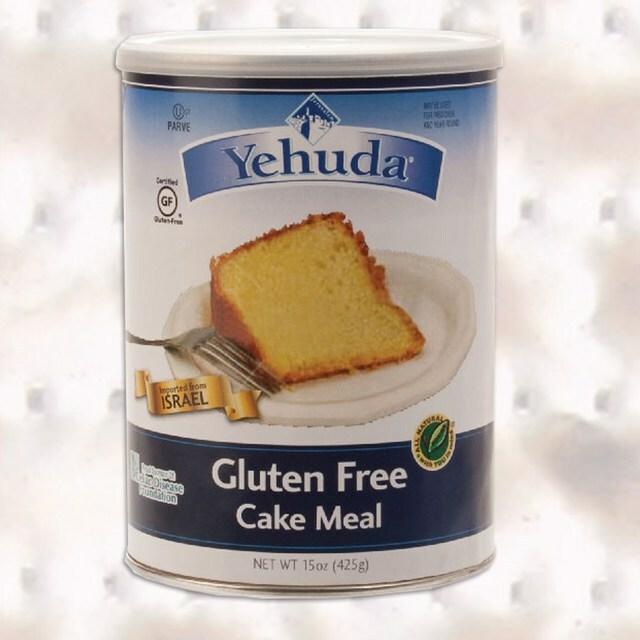 Avalaible only in the USA - Sealed cannister, containing 15 oz (425g) Gluten Free Cake Meal made of fine raw materials. 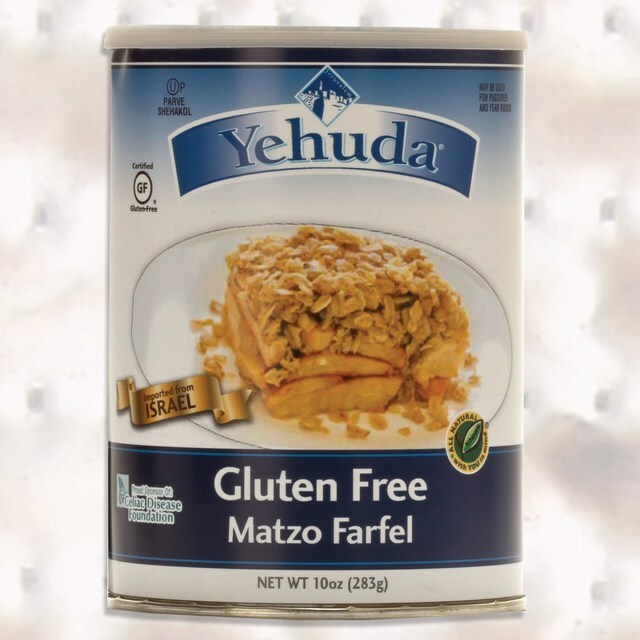 Avalaible only in the USA - Sealed cannister, containing 10 oz (283g) Gluten Free Matzo Farfel made of fine raw materials. 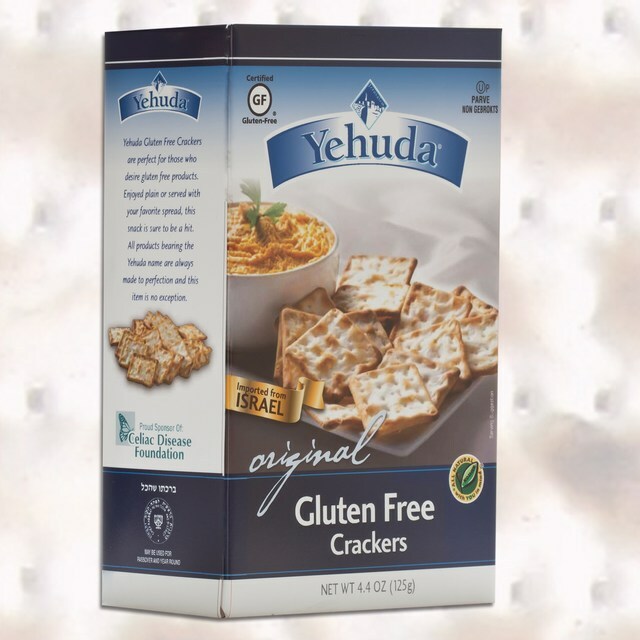 Box containing one sealed bag of 4.4 oz (125g) Gluten Free Original Crackers made of fine raw materials. 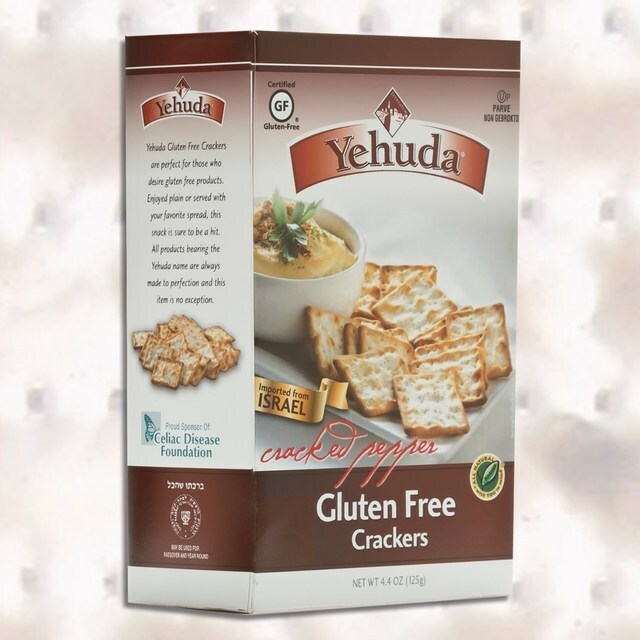 Box containing one sealed bag of 4.4 oz (125g) Gluten Free Cracked Pepper Crackers made of fine raw materials.